Stéphane Le Foll, Minister of Agriculture and Government Spokesperson, visited AgrOnov on Thursday 16 February. A ministerial visit under the sign of agriculture and innovation. After meeting with the representatives of the agricultural trade unions the signing of the partnership agreement between INRA and “Grand Dijon”, Mr. Le Foll came to visit the infrastructure of AgrOnov and the House of Agriculture in Breteniere. Accompanied by François Rebsamen, Mr. Le Foll met the AgrOnov team as well as all the companies of the hub. Each one of them had the chance to present its activity and the services that have been set up to shape the agriculture of tomorrow. Aware of the need to “revisit natural mechanisms for the benefit of a production agriculture”, Stéphane Le Foll then spoke about the key role that players in agricultural innovation in Bourgogne-Franche-Comté must play. A great announcement for AgrOnov and the actors of innovation! Considering local expertise in the field of agroecology, Stéphane le Foll announced during his visit that the AgrOnov cluster will soon be labeled Laboratory of Territorial Innovation (LIT), making it the third national LIT. 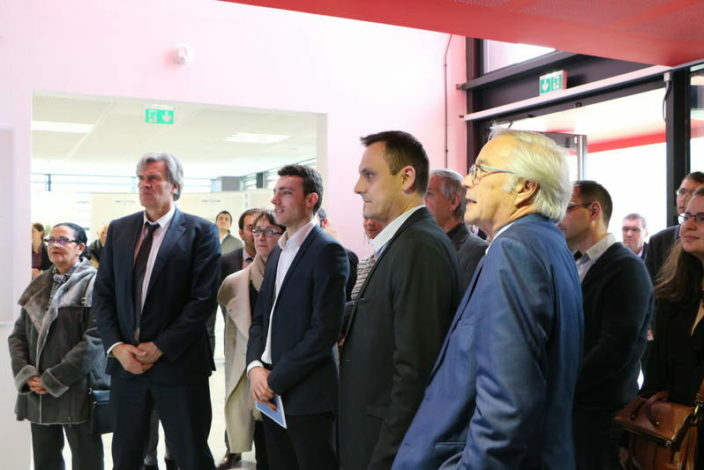 The application process is already under way, in connection with the services of “Grand Dijon” and the INRA Dijon Bourgogne-Franche-Comté Center. A fine consecration for AgrOnov and all the local actors of innovation!